Who doesn't love fall? At this point I'm so over the hot weather and summer clothes, I'm ready for a chill in the air, lots of layers, and colorful leaves. 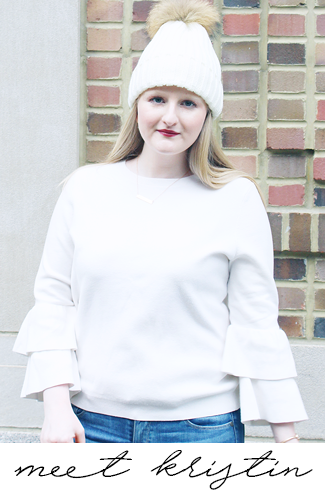 I feel like this time of year can be so hard to dress for because one minute we have summer weather and the next we have fall weather; this is the time to slowly start transitioning everything from your clothes to your nails to get ready for fall. I'm not quite sure why, but this is my favorite time of year to have my nails painted, I think it's because I've always favored dark and neutral polishes, which fit so perfectly with fall. Here I have for you my ten favorite polish colors that will carry you from now all through fall and even winter. OPI You Don't Know Jaques! : A dark creamy taupe color that will go with just about anything. OPI Russian Navy: An old favorite of mine, this is a gorgeous navy blue with the faintest hint of sparkle. OPI Tiramisu for Two: Nudes that are super close to your skin tone always look incredibly chic, try this shade from OPI's Venice Collection to get the look. OPI Lincoln Park After Dark: This is hands down my absolute favorite nail polish color, I have been wearing it for years and it is definitely a classic. If you want a dark nail this deep, almost black, purple is the perfect pick. Essie Bobbing for Baubles: This blue gray color has been super popular for quite sometime now and is a very flattering shade. I love how gray nails make for such a different and pretty look. Essie Wicked: This award winning shade is a very, very dark red that makes for a beautiful vampy nail look. Essie In the Lobby: Essie calls this shade, from their Fall 2015 collection, an exotic cinnamon plum and I love how it's not too dark and a bit unexpected. Essie Chinchilly: This greige color is a staple polish that is perfect to wear with everything. Essie A-List: This classic red shade always looks beautiful on nails and is perfect for this time of year. 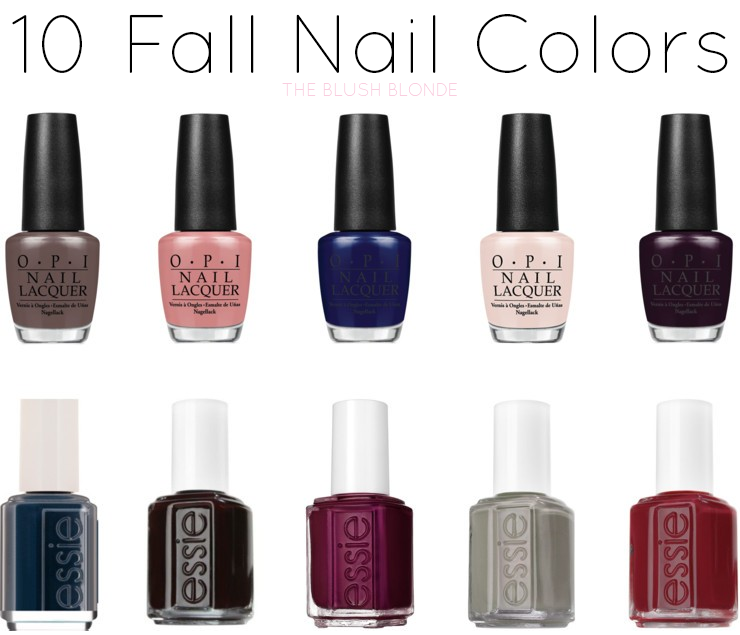 What are your favorite nail polishes for fall? Today I'm linking up with Tutu Tuesday, Confident Twosday, and Style Sessions. I'm so pumped for fall nail colors! I'm a die hard OPI fan love all of these shades! That Essie Chinchilly is right up my alley. Nice ideas. I love these colors and can't wait to start painting my nails darker colors. I loooove your picks! Fall nail polishes are so fun and I can't wait to snag a few new ones for this year.